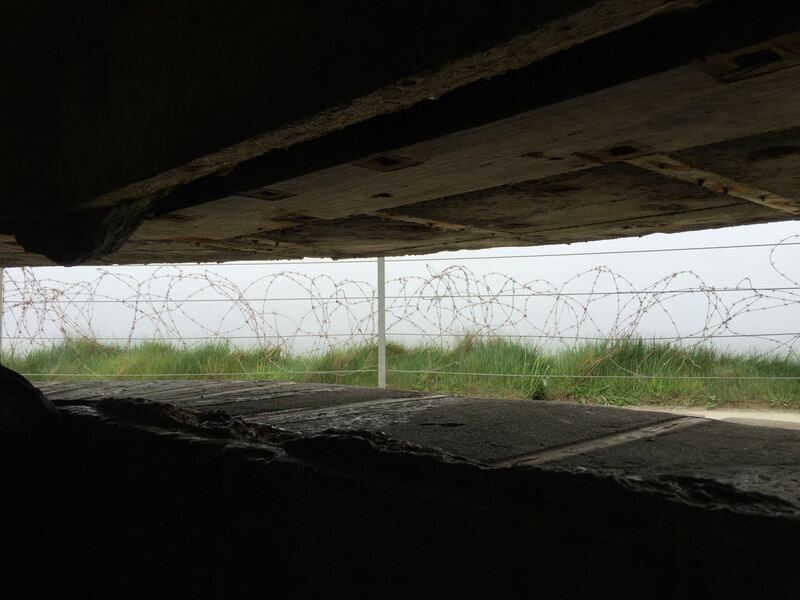 I had not looked out to sea from the slots of those German bunkers, where doomed lookouts first spotted the thousands of Allied ships in early morning, or seen the clear view of the beaches available to outgunned but deeply embedded German defenders. Time is passing. 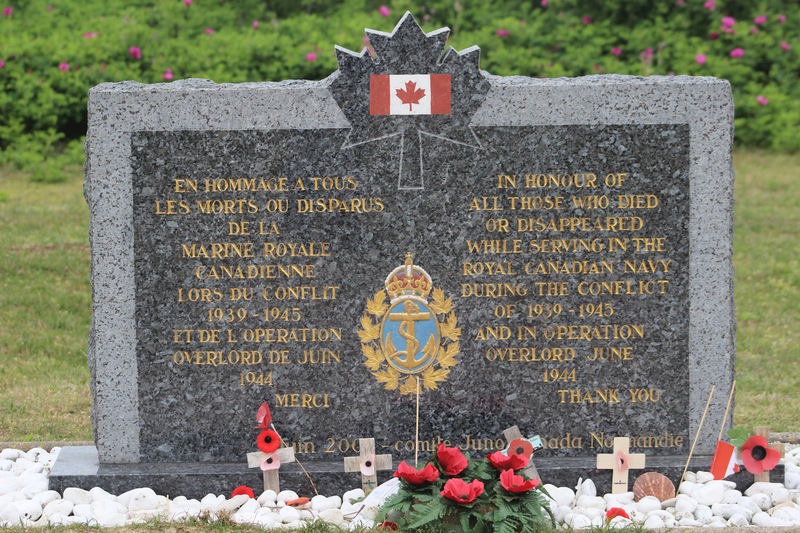 Every year, fewer and fewer Normandy veterans are alive to bear personal witness every year. 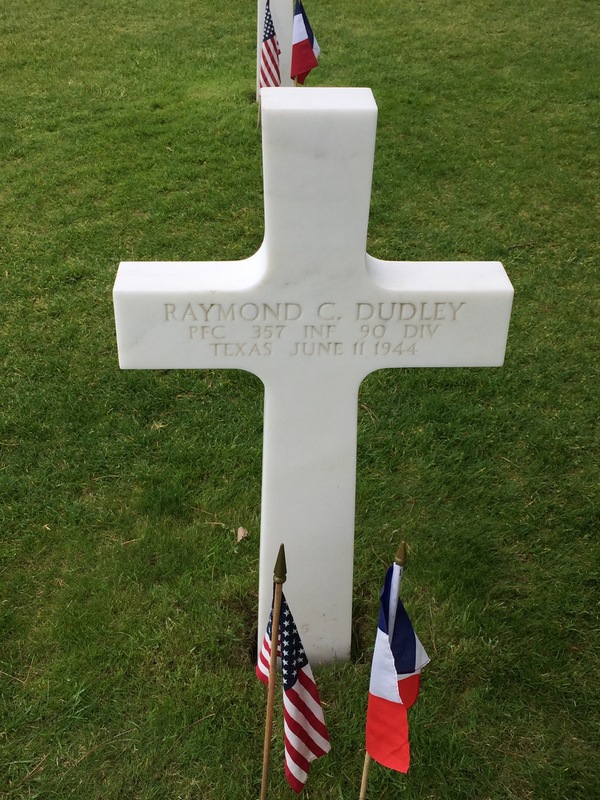 My wife and I met an older gentleman, now retired, who was at Normandy because his father had fought there on June 6. 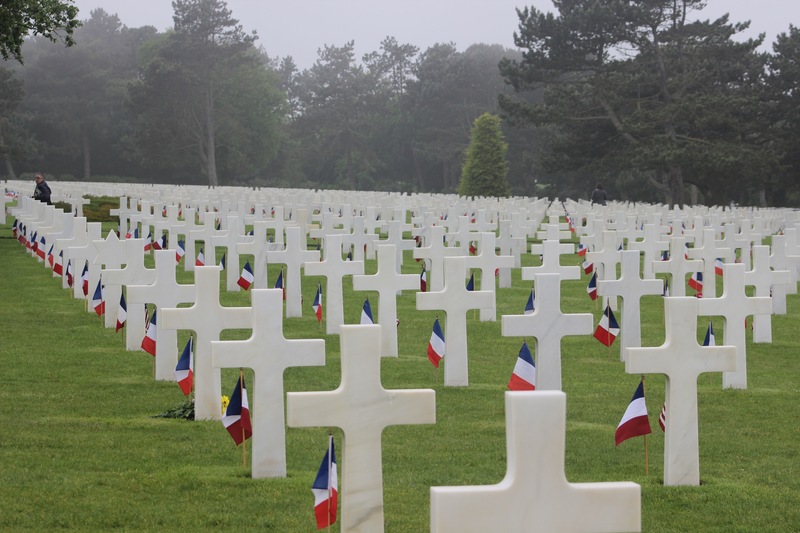 Those buried at Normandy died so cruelly, but on behalf of monumental purpose. 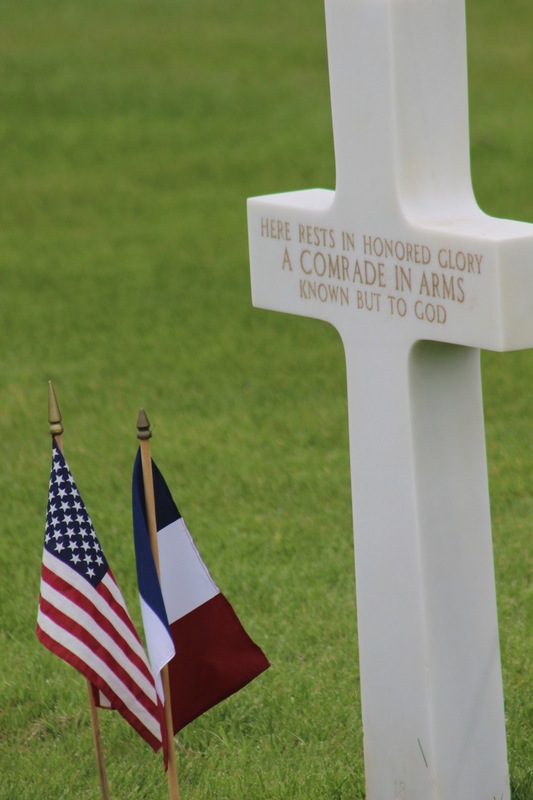 Cemeteries at Normandy were the final resting place for thousands of American, British, French, Canadian, and other Allied troops who perished in that campaign. 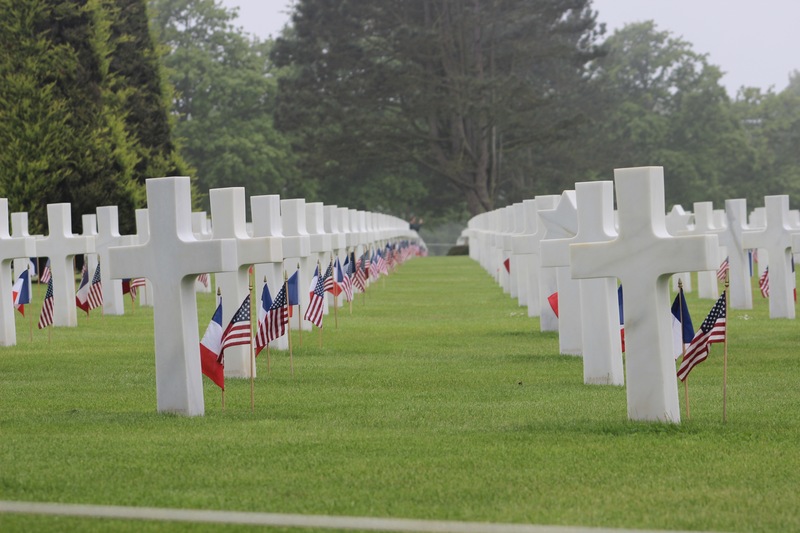 More than twice as many Americans are buried at this one Normandy cemetery than our nation has lost in both Afghanistan and Iraq. 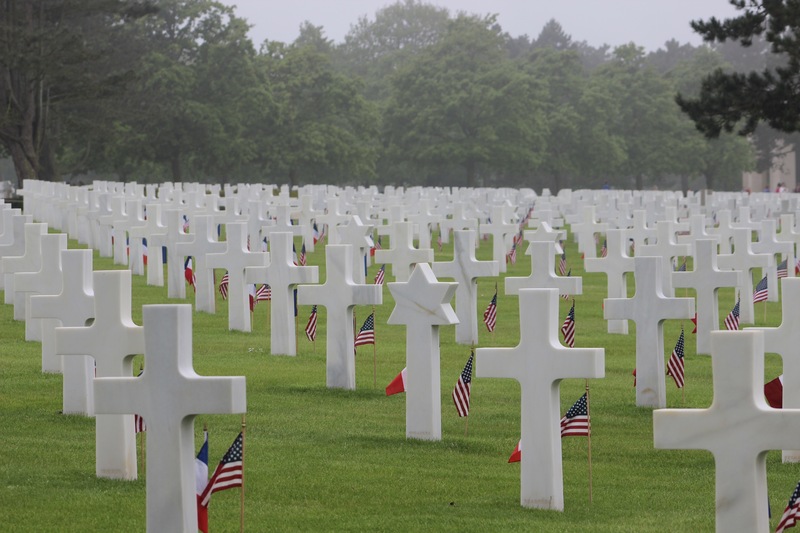 Many of the young men buried at Normandy never reached the age of my college-age daughters. 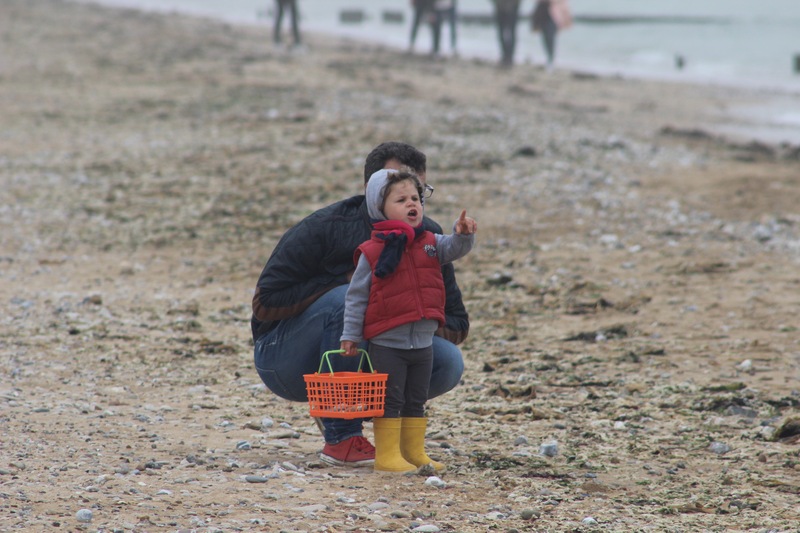 Others were young fathers who would never get the chance to fill sand buckets with their daddy on a quiet morning. So thank you Raymond Dudley, Milton Holtzberg, John Dolan, David Kramer, Arthur Silverman, and 9,381 others buried in that place. You and your comrades achieved something remarkable that day. You are deeply missed. Made the same tour a couple of years ago & got the same emotional punch. 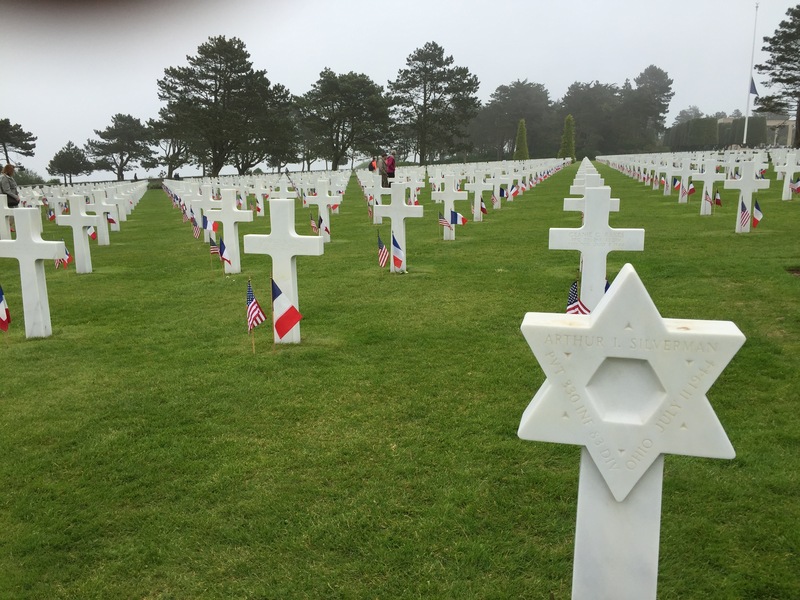 Felt privileged to hear The Last Post sounded at the Omaha Beach cemetery. That was the high point, but the museum at Utah Beach was memorable also. We did a bus tour from Paris, mainly geared for Americans (so not much mention of Canadians or British) but there were two bum notes. – One of the tour guides put a very pro-Hitler spin on WWII, even soft-pedalling anti-Semitism. We (my brother and I) had to call him out on some of his "facts" – one memorable one was that "Hitler did not write Mein Kampf, it was Hess". There was a running argument (not unfriendly, I must add) all through the tour and back to Paris. We warned the other tour guide (an American married to a Frenchman & doing a doctorate) about the spin given by her partner. She defended him, but promised to be vigilant. I fear the male guide tended to the French right. – The tour occurred between the Brexit vote and US Prez election, and Trump's candidacy was a running topic. Some of the older members of the tour seemed to me to be angry old guys, that the US has expended blood and treasure but only gets disrespected. Real Trump fodder, but maybe that is judgmental. I made a point of thanking a couple of ex-servicemen, but I am not sure if it did much good! I did ask the young American guide if she thought it had all been worthwhile, and she gave a convincing "Yes!". She said most of her US friends would say the same. PS Just noticed it was an old post. I was there 3 months after you. The story is the Hitler dictated MK to Hess while they were in prison together. They were close friends and like-minded enough that MK could have been a collaboration at least. I was in France on business shortly after 9/11. Over lunch one of my French counterparts expressed bafflement that America came to their rescue at such expense. I didn't have the heart to tell him it wasn't about them. I hope it’s not inappropriate to add an anecdote. Today would have been my father’s 101st birthday. He was a photographic interpreter in WWII and was on the team that was doing the advance work to plan the invasion. Photo interpretation was in its infancy, and my father’s job was to go ashore after the troops had started to move inland and to look the place over to see how well they had interpreted the photographic evidence. The allies couldn’t be sure the invasion would succeed, and if it failed the plan was to pull back and try a second time further south. In 2004, in conjunction with the dedication of the World War II Memorial on the National Mall, there was a three day event, the “Reunion on the Mall” to honor WWII veterans. I went down with my father, and as we were walking around, we ran into some men wearing caps saying “Omaha Beach.” Turns out it was the Beachmaster for Omaha Beach and the men who’d worked under him. And so they got talking. Both the Beachmaster and my father were absolutely certain that they’d been in contact through the latter part of the day. Of course, neither remembered actually talking to the other. As they remarked, things were a little busy. Most of the veterans were down with their children, and at a certain point, as if at a signal, we kids drew back, and the veterans formed a small group in the middle of a growing circle of observers. The men had quite an animated discussion, complete with gestures at higher ground on the one side and at lower ground on the other and at landmarks that were not there—not on the Smithsonian Mall, in any case. I don’t know if they solved the problem of where the heck X was and whether Admiral Y had any idea what was going to happen if they did Z like the orders said, but it was clear they’d picked up pretty much where they’d left off in 1944. I visited Normandy some years ago. 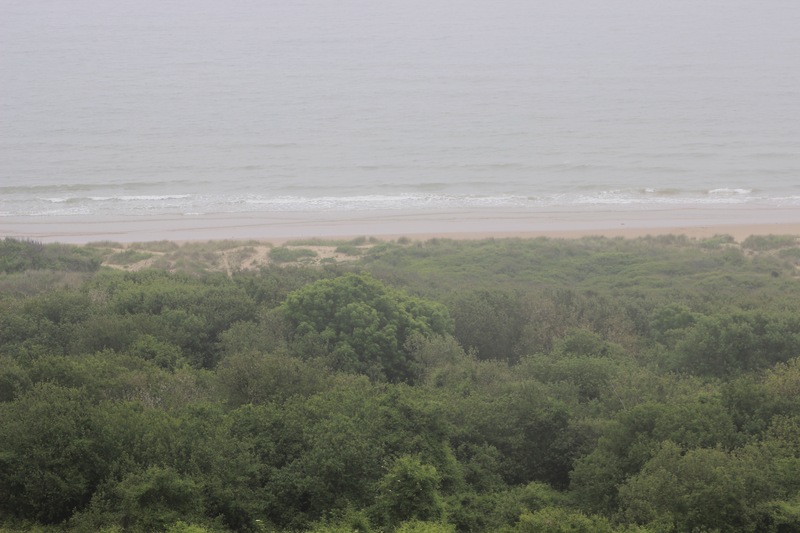 I still remember my first impression of Omaha Beach, which was that it was amazingly short beach in front of a very steep cliff, and that it seemed impossible for invaders to take it against gunners above. Well, in 1944 it was 200 yards or so, which I'm sure seemed like plenty to those who had to cross it with shells raining down on them. 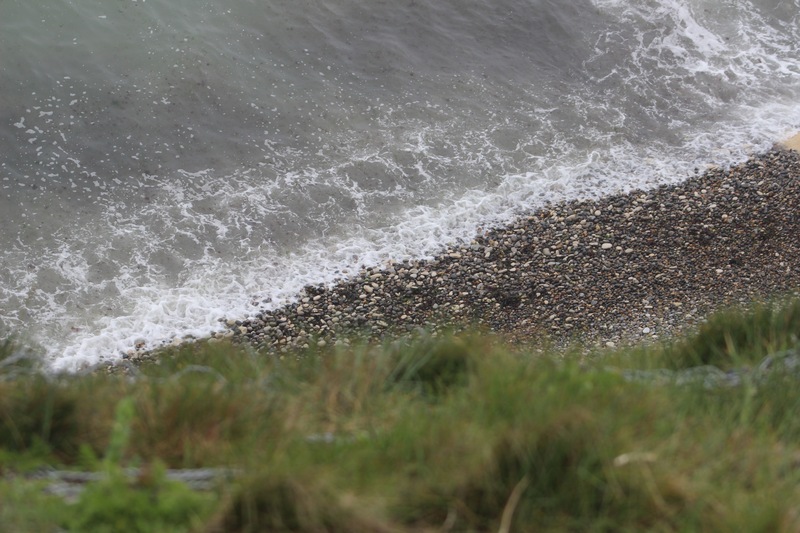 I did not mean to imply that the length made it easier, rather the the short beach facing a cliff made it harder. It was not just a question of crossing the beach, but also of dislodging the German defenders.